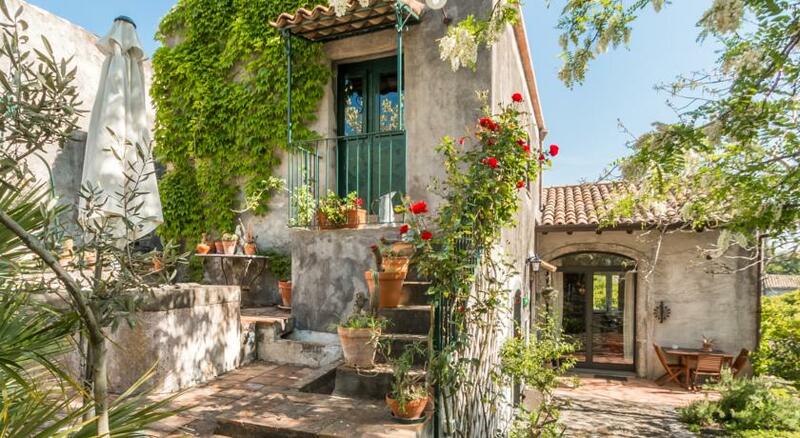 This very cute, pet friendly, agriturismo B&B near Catania, Sicily, Italy, grows 100% organic citrus fruits and vegetables in a beautifully rural setting with Mt. Etna towering above. All their comfortable rooms and suites have a private bathroom and a terrace or balcony, some come with a kitchenette, but guests are also free to cook in the well equipped shared kitchen. Outside they have barbecue facilities in the garden and the surrounding area is really nice to explore by hiking or biking, especially the nearby Mt. Etna National Park, and the farm can offer free bike rental to do just that.